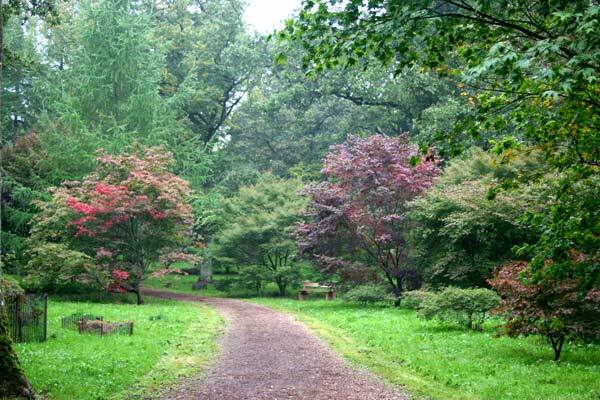 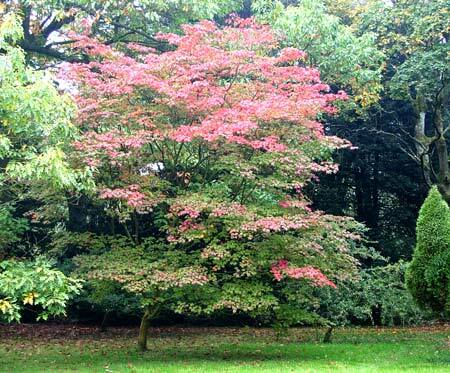 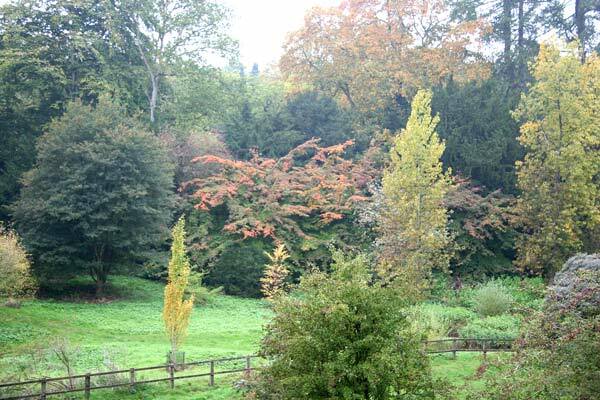 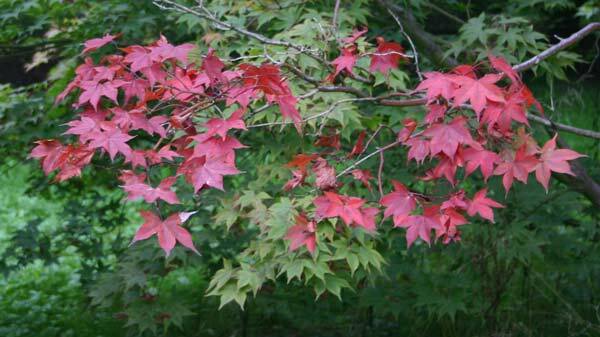 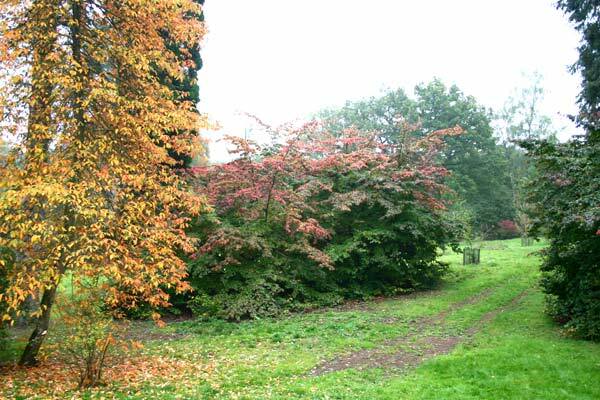 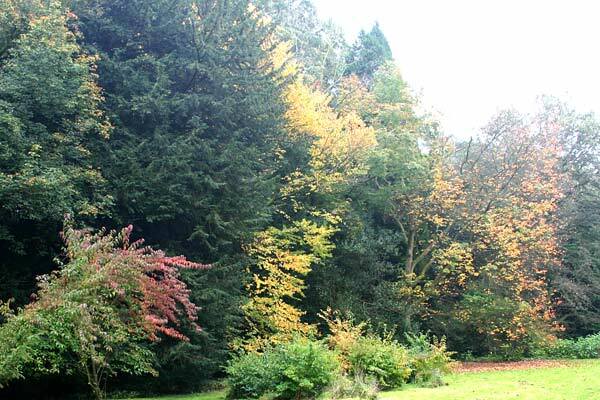 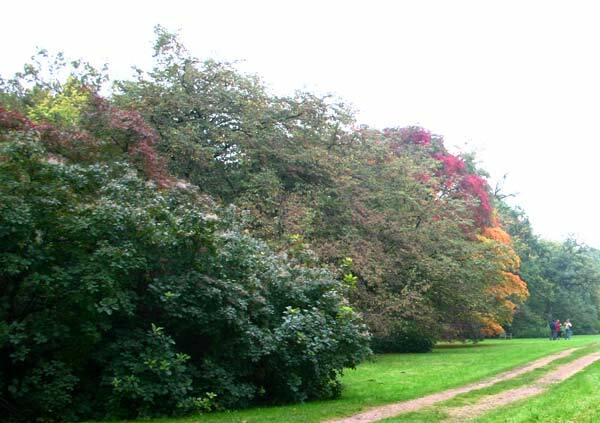 We visited the National Arboretum at Westonbirt in Gloucestershire to see the autumn colours of the trees in mid October. 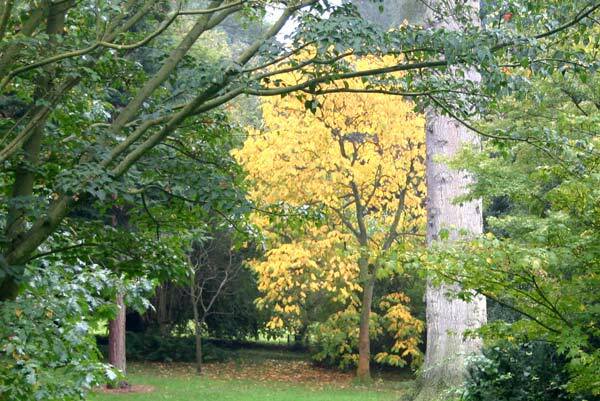 I'm not very knowledgeable when it comes to trees - nor was I organised enough to take notes - so I'll leave out the "technical details" - put another way, I don't know what the trees are! 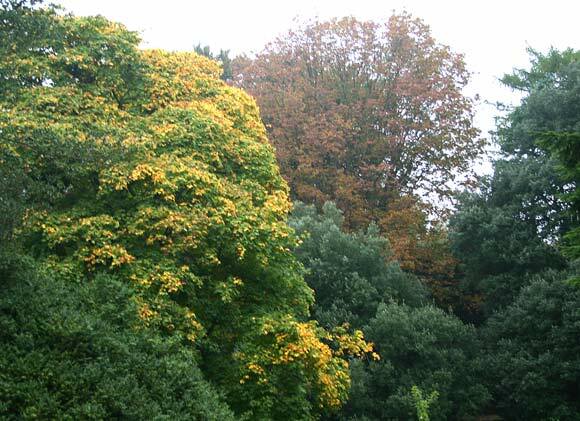 The colours vary enormously, reds and yellows along with the varying greens of leaves that haven't turned yet make the woods very colourful. 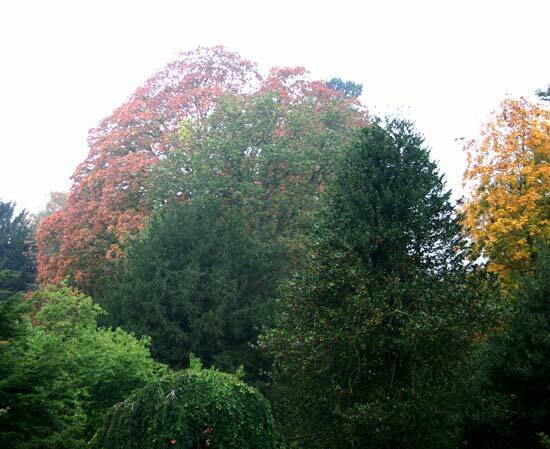 Three views of the same tree, coming right in to the red leaves. 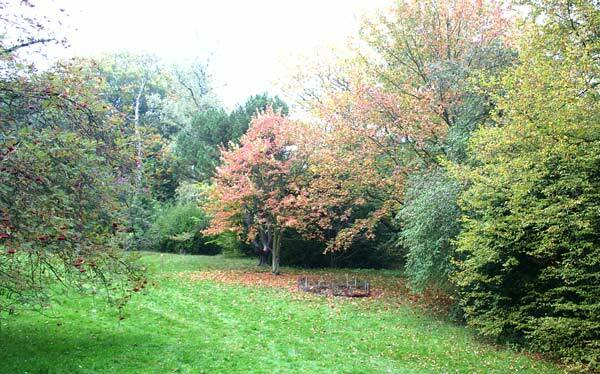 There are many pathways between the trees, you can follow the main ones or branch off and explore the side turnings. 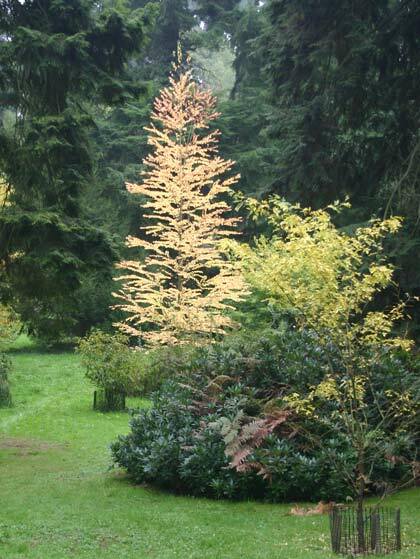 It was a dull day and many of the photos on this page needed brightening in Photoshop but this is straight from the camera, the tree just seemed to glow by itself. 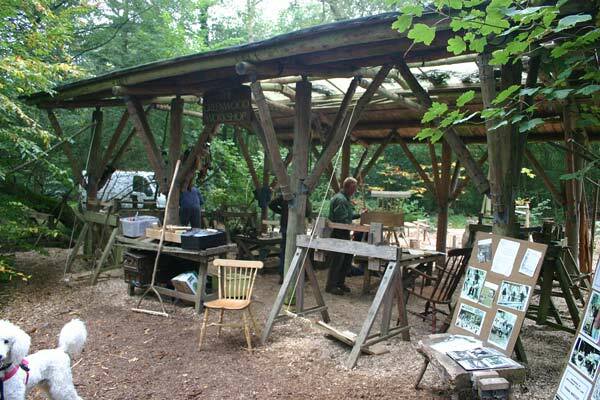 This workshop in the woods was running a "Make a Chair in Six Days" course which in its last day, the chair in this view is typical of those they were making. 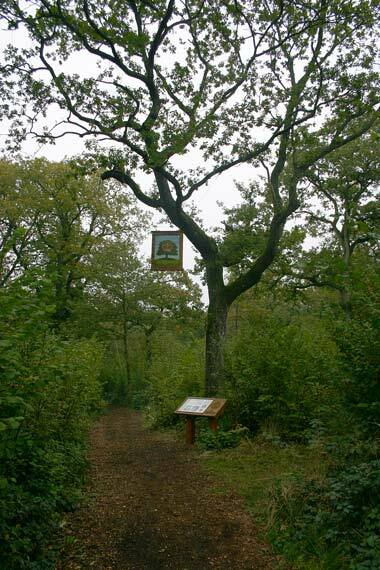 The foot powered lathes are used to turn the legs etc., those who do so are called bodgers but the end result doesn't fit with the modern usage of the word. 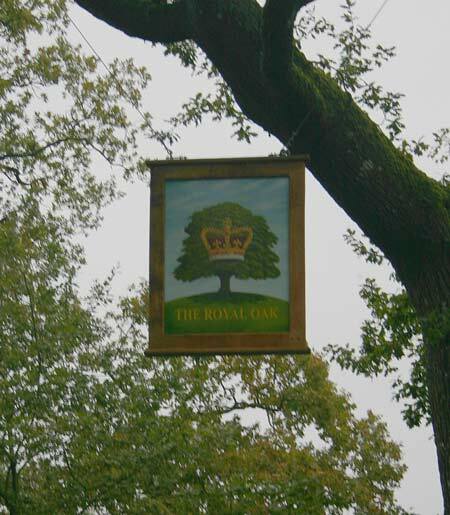 This oak tree has an inn sign "The Royal Oak" marking the importance of the oak in English history, particularly for building the ships of Nelson's navy. 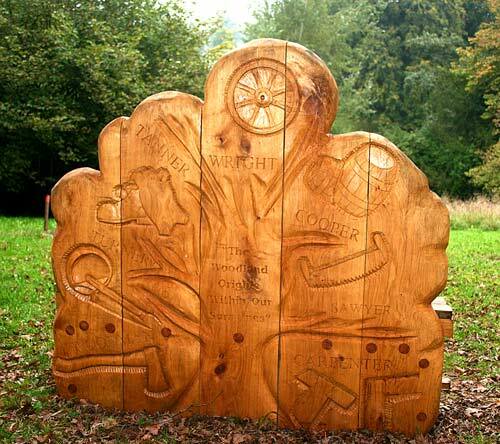 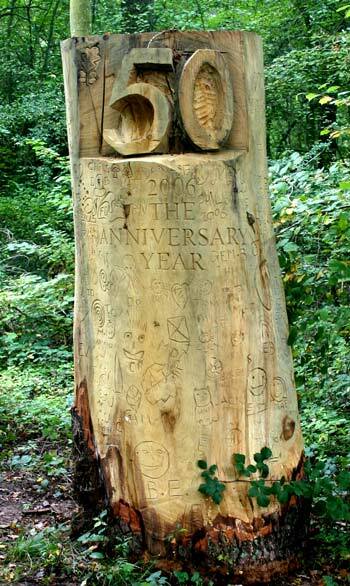 This carving shows the woodland origins of some of our surnames - Tanner, Wright, Cooper, Turner, Sawyer, Carpenter and Woodman. 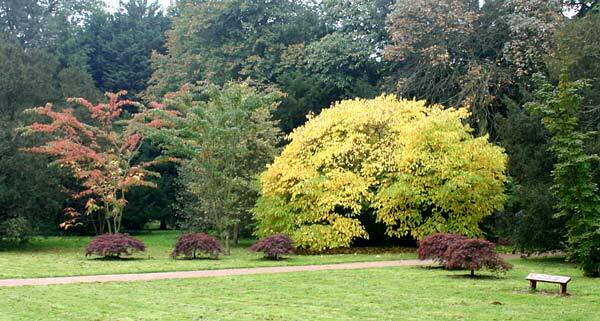 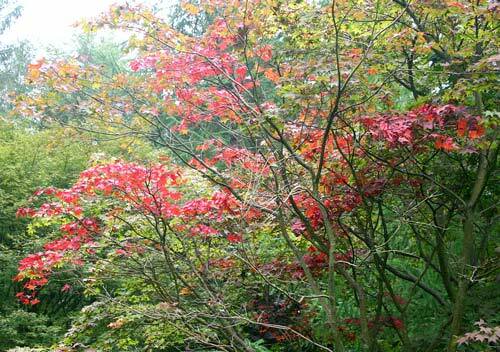 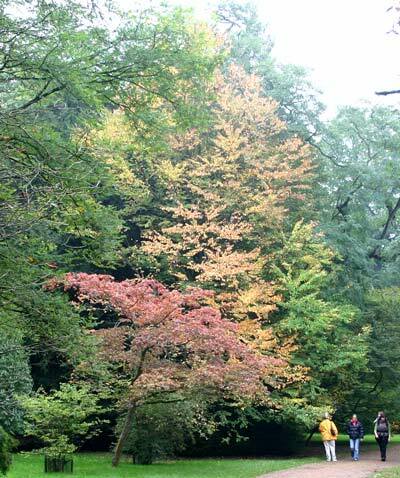 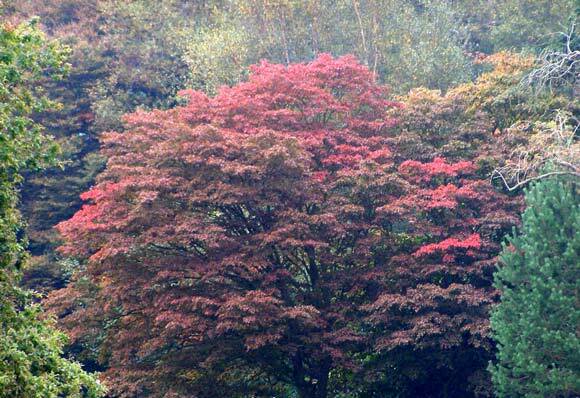 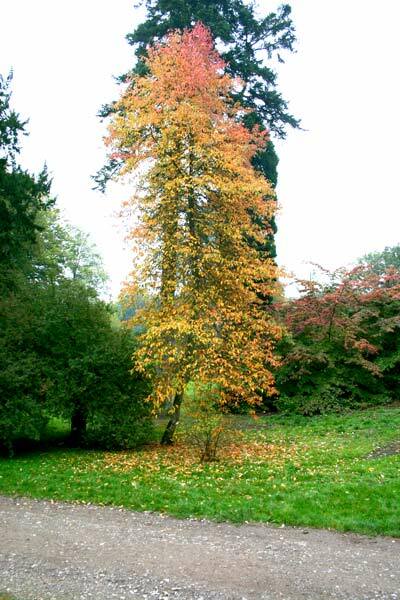 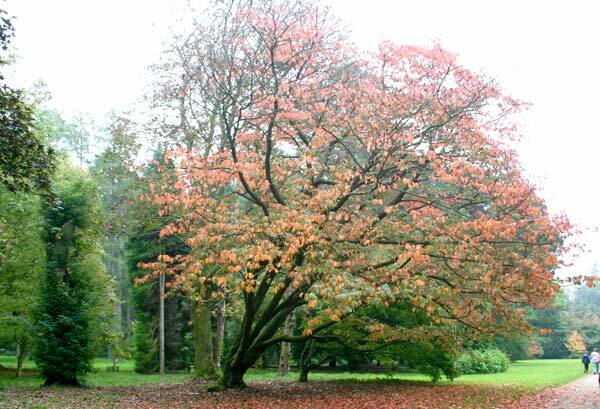 A last photo of a tree showing its splendid autumn colours at the arboretum. 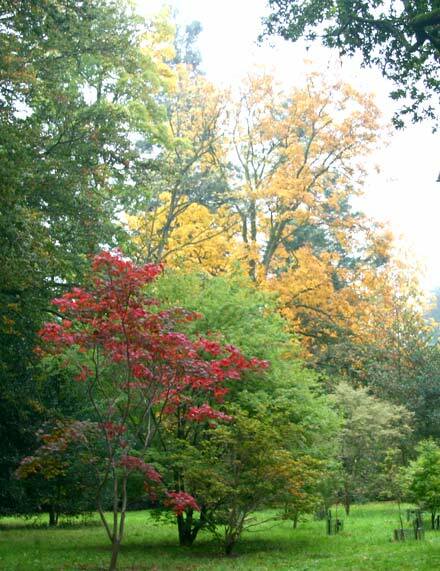 Visit our Travel Centre for rail, ferry and tunnel tickets.